If there’s one thing we can all agree on it’s that healthcare insurance coverage is a hot topic these days. If you have health insurance that covers your needs and the needs of your family and doesn’t cost you an arm and leg, consider yourself very lucky. But don’t get complacent, particularly if you are within range of retirement. Some estimates published by Fidelity Investments suggest that a healthy person age 65 today can expect to pay upwards of $275,000 to cover health care costs in retirement. If you are still working and still covered by insurance now is a good time to give your health care coverage a checkup. Just like IRAs and any other government-sponsored plan, Medicare is a complicated labyrinth. It comes with four parts (Medicare Parts A, B, C & D) with each part responsible for a different aspect of coverage. 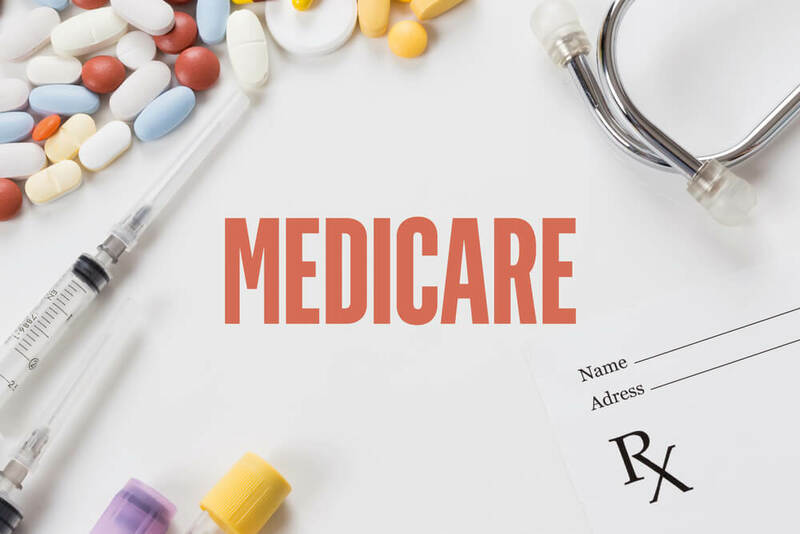 Medicare covers hospitals stays, doctor’s visits and services, prescriptions, and also allows for coverage through private insurance affiliations. The Medicare Interactive website is an informational place to begin your basic understanding of a complex coverage system. And then there’s Medicaid, which is designed to provide coverage to low-income individuals. It’s possible to be eligible for both Medicare and Medicaid, but in most cases, you’ll only qualify for Medicare. Don’t assume that benefits covered by your current plan will automatically be covered by Medicare. Now is the time to do your homework and make a list of coverage that is necessary for you as an individual, then determine if you may need supplemental insurance through an additional plan. If you or one of your dependents currently requires or is likely to require long-term care you need to factor this variable into your healthcare planning. Individual policies may be available to you that can help defray some of the costs associated with long-term care. Coverage may be available through Medicare, but it may have restrictions that are not compatible with your lifestyle or values. It’s best to think this through now than to have to make a real-time decision that may be complicated. Does My Employer Offer Retirement Coverage? Some organizations offer extended healthcare coverage to retired employees. Find out if this benefit is available to you, and if so, what are the conditions of coverage? This could be a cost-effective way of supplementing Medicare coverage. There are no guarantees when it comes to medical insurance, particularly in today’s world. The best you can do is hope for the best and plan for the worst, which means taking the time to consider your actual needs and setting aside money to cover your health care expenses. At Mooney Lyons, our qualified and experienced professionals can help you design an insurance and savings strategy that will protect you and your family if and when you need it Call our offices today to speak with a partner who can help you make sensible decisions that are in the best interest of you and your loved ones.